This 8 x 7' pop-up ready kiosk is the perfect space to showcase your brand. 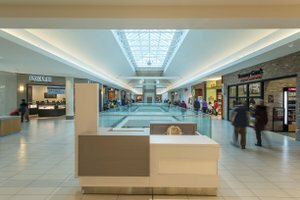 With a busy, main aisle location full of light, your brand will be front-and-centre with the Oshawa Centre shopper. 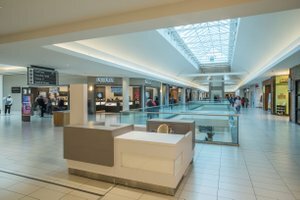 Suitable for a variety of uses – from product launches and sampling to an information hub or even a pop-up store – this all-inclusive unit is a great solution. The included fixture has drawers and shelves for storage and is complemented by a silver chair. 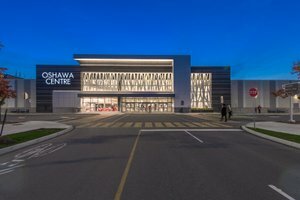 Oshawa Centre is the largest super-regional shopping centre in the eastern portion of the Greater Toronto Area. 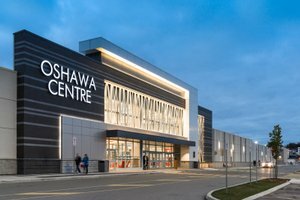 With over 250 retailers, including sought-after brands like Zara, Saje, Victoria’s Secret, RW & Co and H&M, along with a brand new 1,000-seat food court and 3 on-site restaurants, Oshawa Centre attracts over 10.5 million shoppers annually.